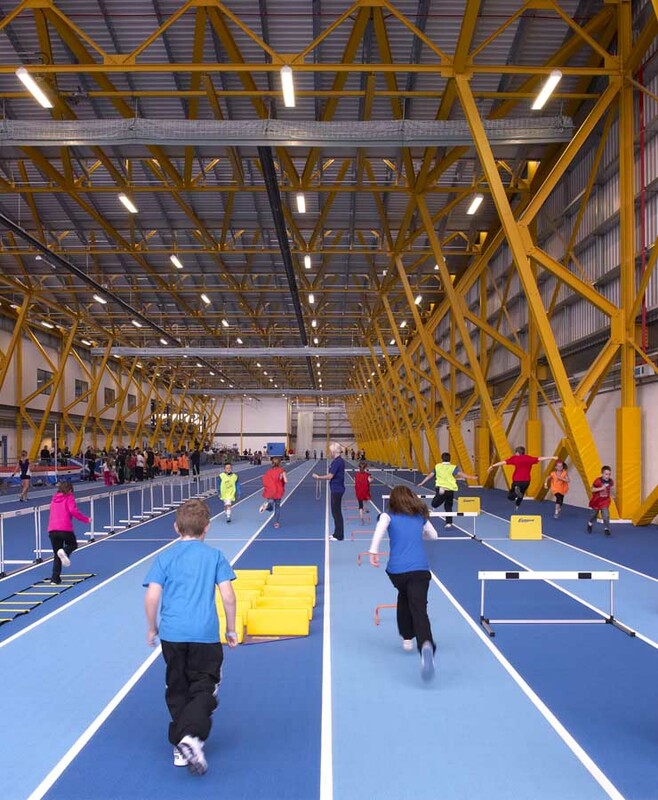 Ravenscraig Sports Centre was Highly Commended in the Community Benefit category for the creation of new sports facilities in the heart of the former industrial site, giving the local community access to state of the art leisure facilities. Jim McCabe, Leader of North Lanarkshire Council, said: “This award is highly deserved. 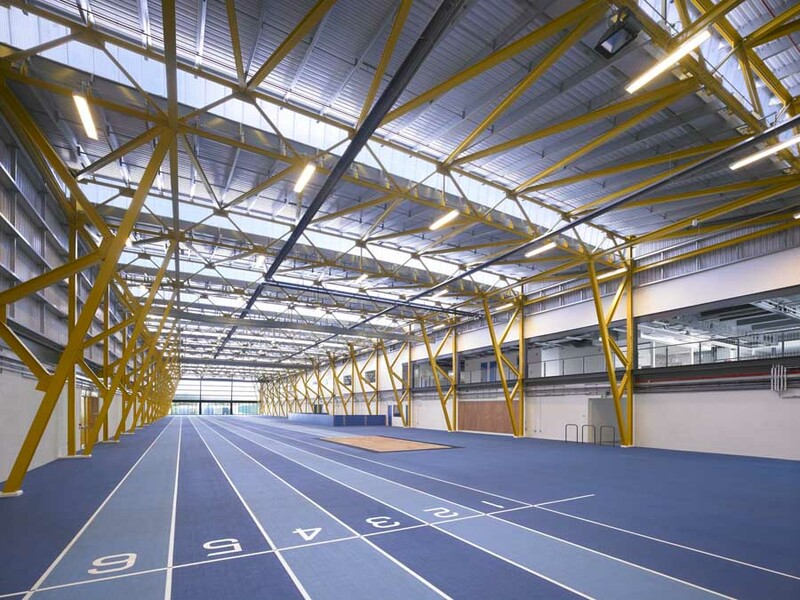 Ravenscraig isn’t just architecturally stunning but it’s also become a highly valued sporting resource by people living in North Lanarkshire and Central Scotland. “In just a few months since opening, it boasts a thriving gymnastics club with hundreds of members, and each week more than 1,000 children take part in football and our athletes are going from strength to strength due to the first class sports facilities available. 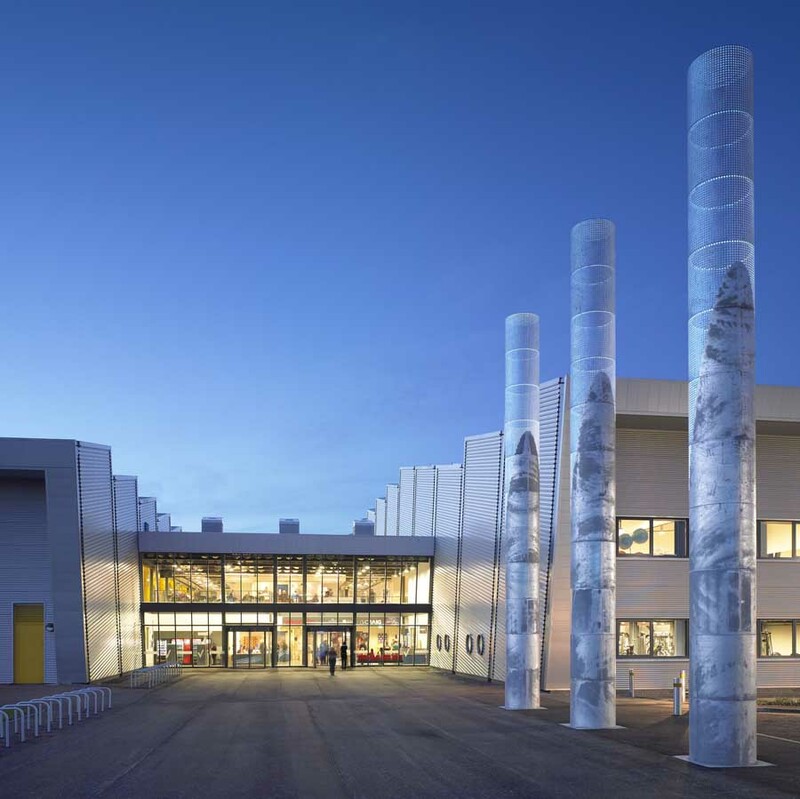 “The facility has staged well over 100 events since opening, including judo, karate, athletics badminton gymnastics, handball, football, conferences and even a charity fun run in the football hall and even hosted a sell out performance of the National Danish Performance Teams World Gymnastics Tour. 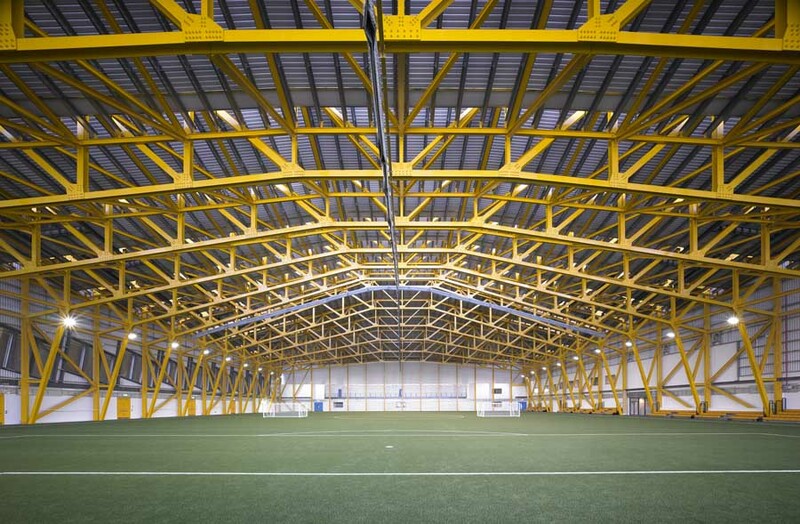 HOK Sport yesterday received a boost from Stewart Maxwell, The Minister for Communities and Sport when he announced that the green light had been given for construction of a £29 million sports facility at the former Ravenscraig steelworks in North Lanarkshire. 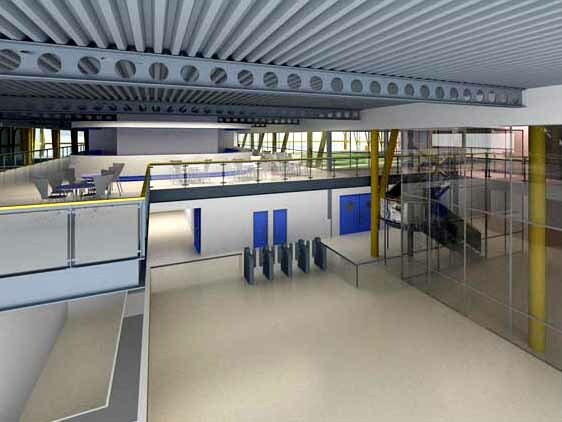 HOK Sport have designed the new Regional Sports Facility which will host local, regional and national sports and leisure events as well as cultural events. 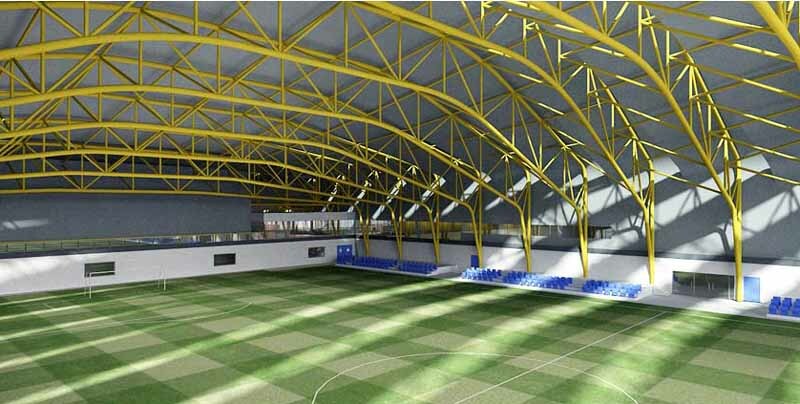 The Ravenscraig Sports Facility will be part of a larger masterplan for the regeneration of this area of Scotland. 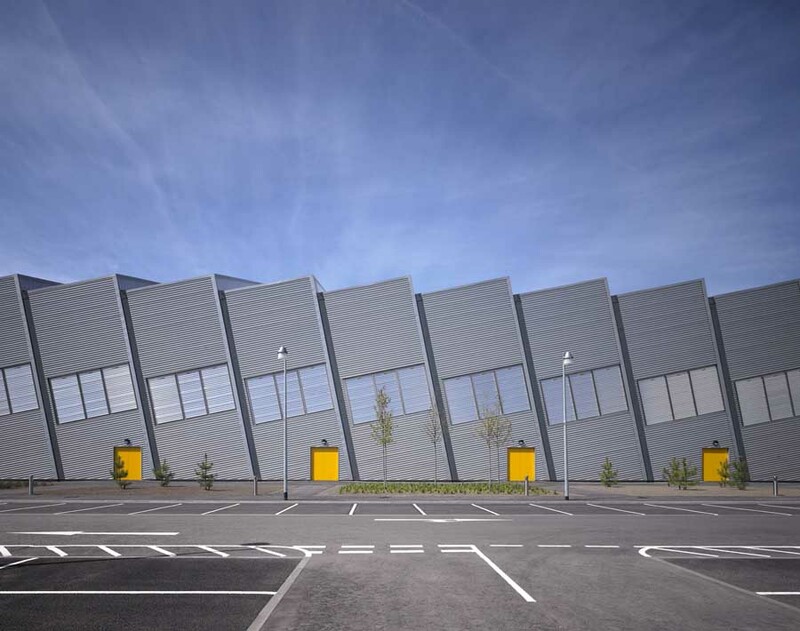 The Ravenscraig facility will set the highest standard in urban design and architecture, ensuring an integrated, consistent approach to developing the environment. 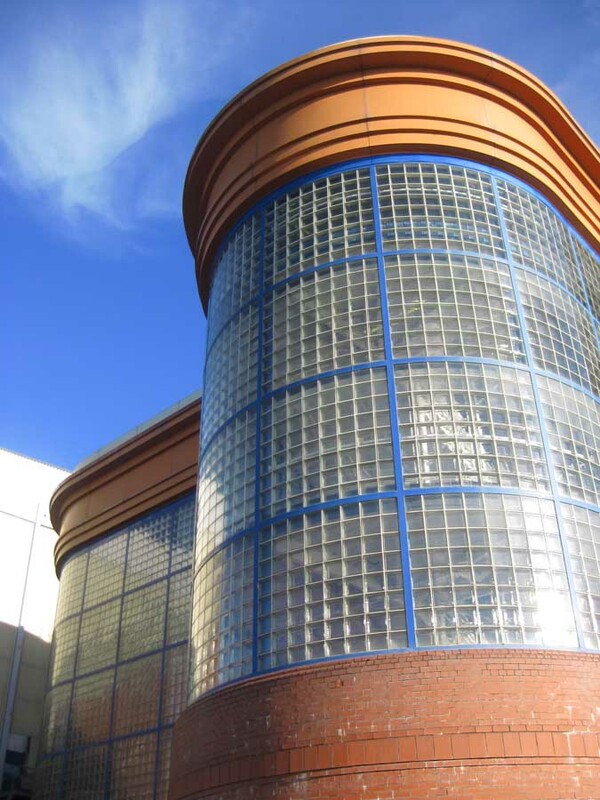 The history of the site and its link to the steel industry has been incorporated into the architectural language of the building and has ultimately influenced the choice of materials. 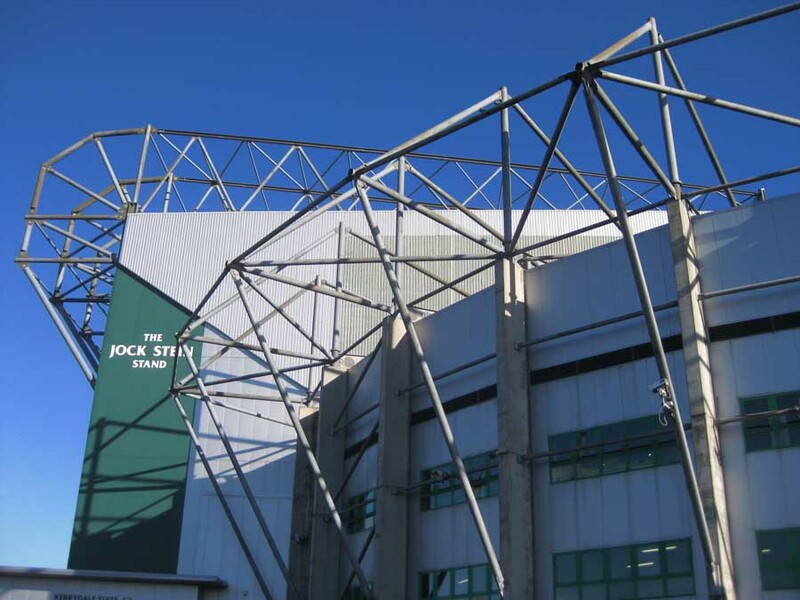 Its metal bands that rise from out of the ground to wrap the structure are a visual reminder reminiscent of rolled metal sheets. 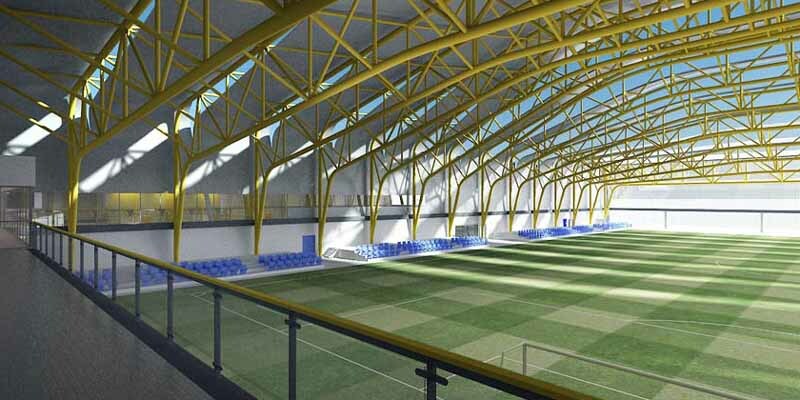 The Ravenscraig Sports Facility is the latest of ten projects to receive stage two approval under the Government’s £50 million National and Regional Sports Facilities Strategy (NRSFS), which includes £21.2 million of sportscotland Lottery funding. 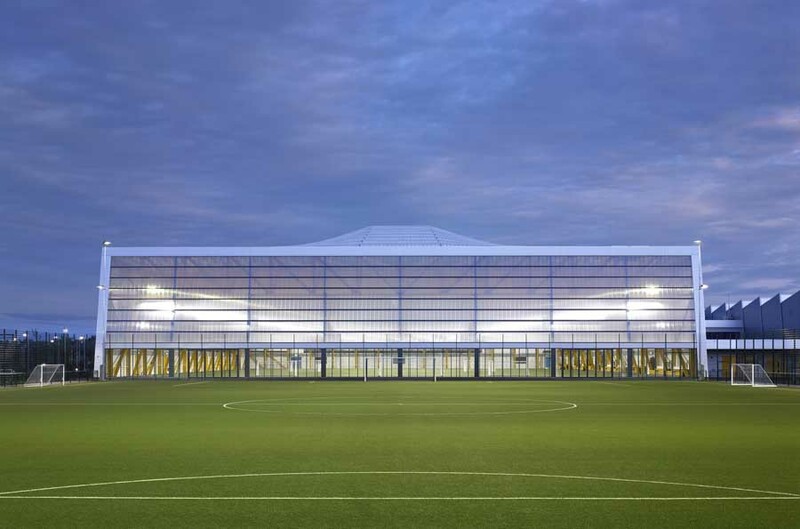 The Ravenscraig project will feature a full-size indoor synthetic football pitch, a 135metre by six-lane athletics track with associated field event training areas, a regional nine-court indoor sports hall, a full-size floodlit outdoor synthetic grass pitch and six floodlit synthetic five-a-side outdoor pitches. A state-of-the-art gym and two dance studios will also feature in the completed facility. 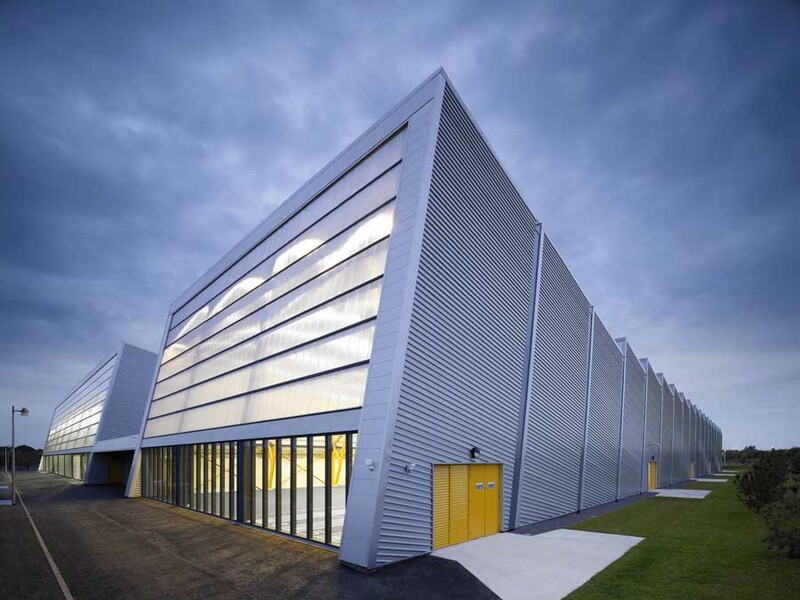 “Our aim was to create an expressive building giving a focus and identity to the new Ravenscraig Development”, said HOK Sport project architect Alex Hoppe. 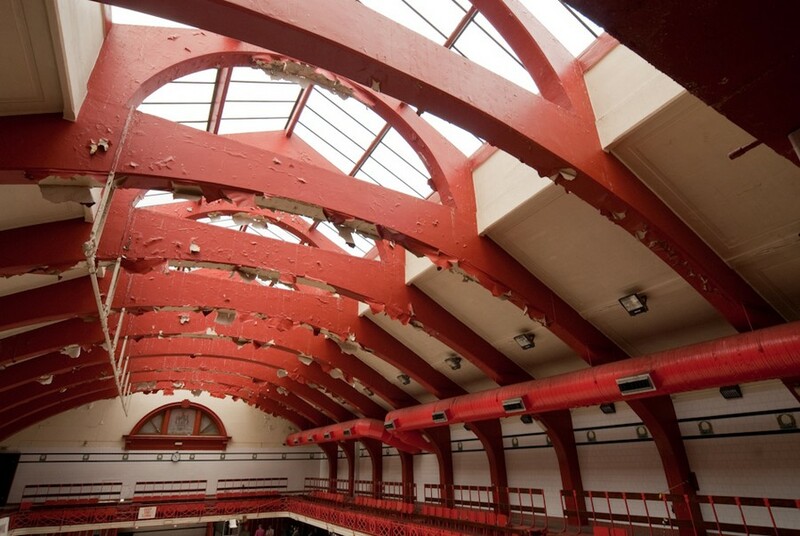 “The facility will be a focal point of public life for the whole community, especially the young people of Motherwell”. 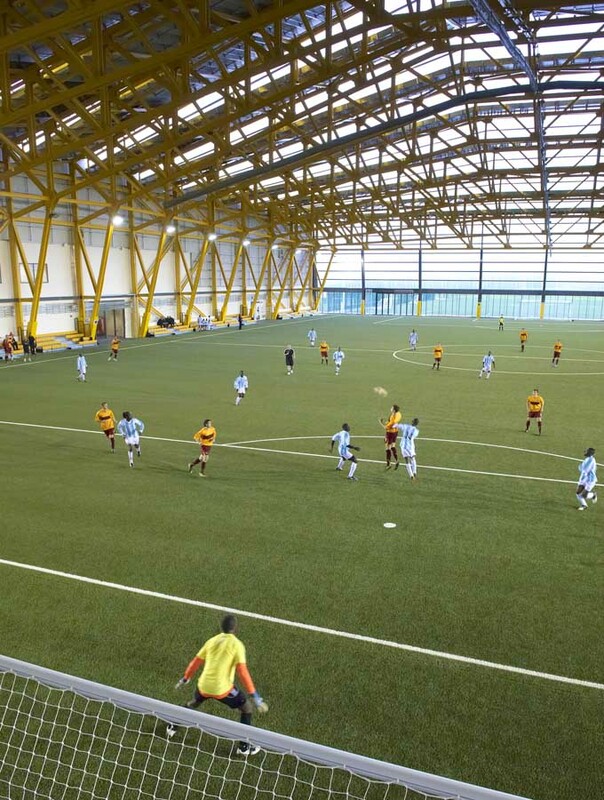 The project by North Lanarkshire Council and Ravenscraig Ltd’s features a full-size indoor synthetic football pitch, six-lane athletics track, nine-court indoor sports hall, full-size floodlit outdoor synthetic grass pitch, six floodlit synthetic five-a-side outdoor pitches, gym, two dance studios & indoor soft play area.